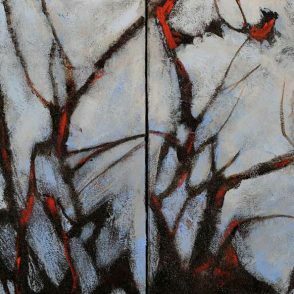 Carolyn Brunelle "Presto (Road Runner)"
Carolyn Brunelle "The Harp Forest"
image: 18 x 24" | frame: 19 x 25"
Carolyn Brunelle "The Gray Family"
Carolyn Brunelle "Tall and Lovely"
image: 30 x 22" | frame: 31 x 23"
Carolyn Brunelle "Coming Soon, Spring"
image: 16 x 20" | frame: 17 x 20"
Carolyn Brunelle "In Her Red Dress"
image: 24 x 18" | frame: 25 x 19"
image: 40 x 30" | frame: 41 x 31"
Carolyn Brunelle "Branch Dance Red"
Carolyn Brunelle "Branch Dance Blue"
Carolyn Brunelle "Along the Bough"
Opening Reception: Saturday, April 30, 2-5 p.m. 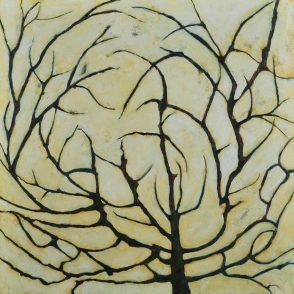 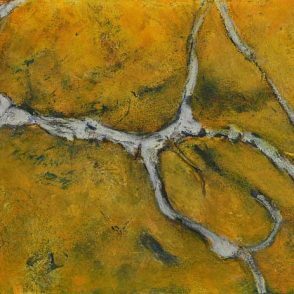 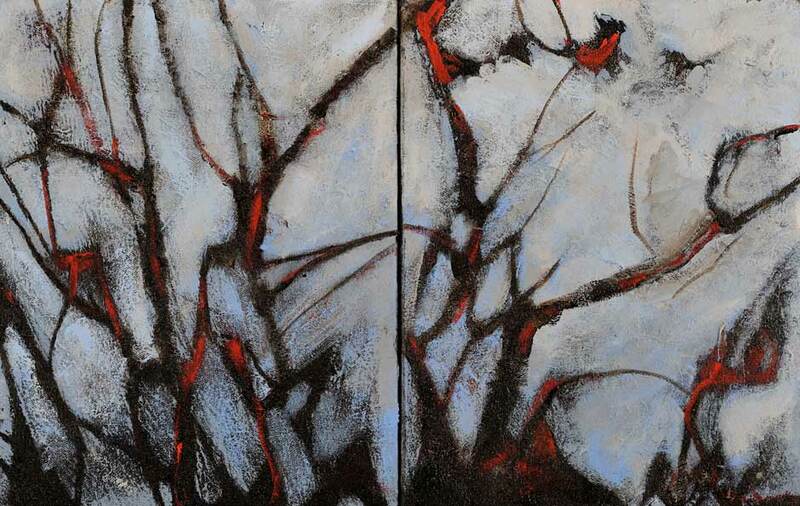 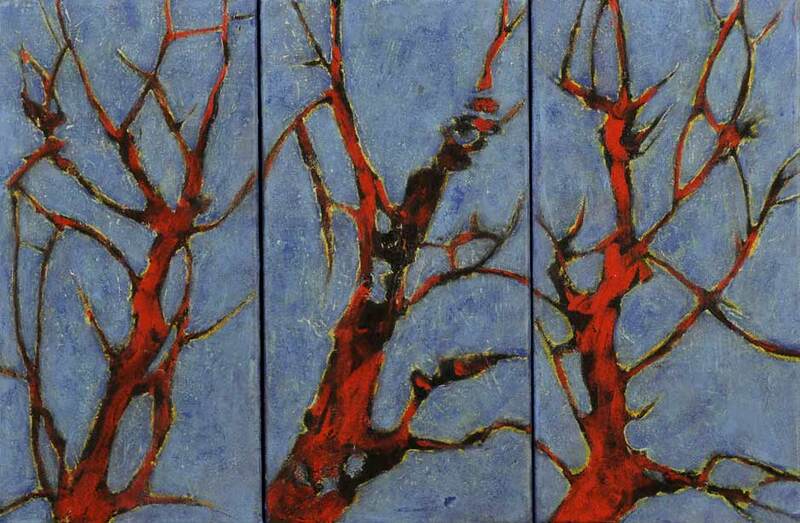 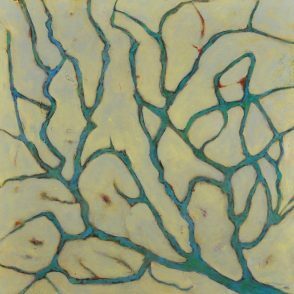 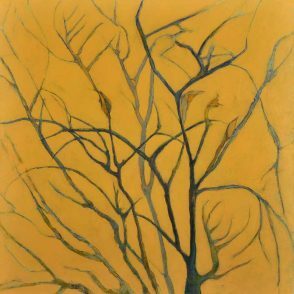 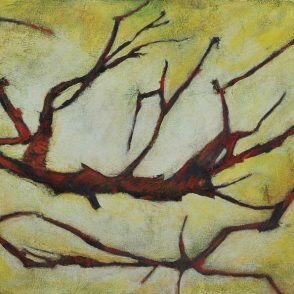 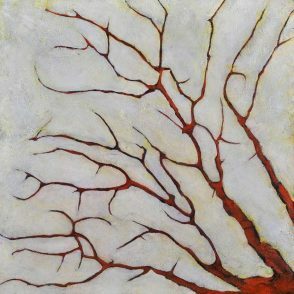 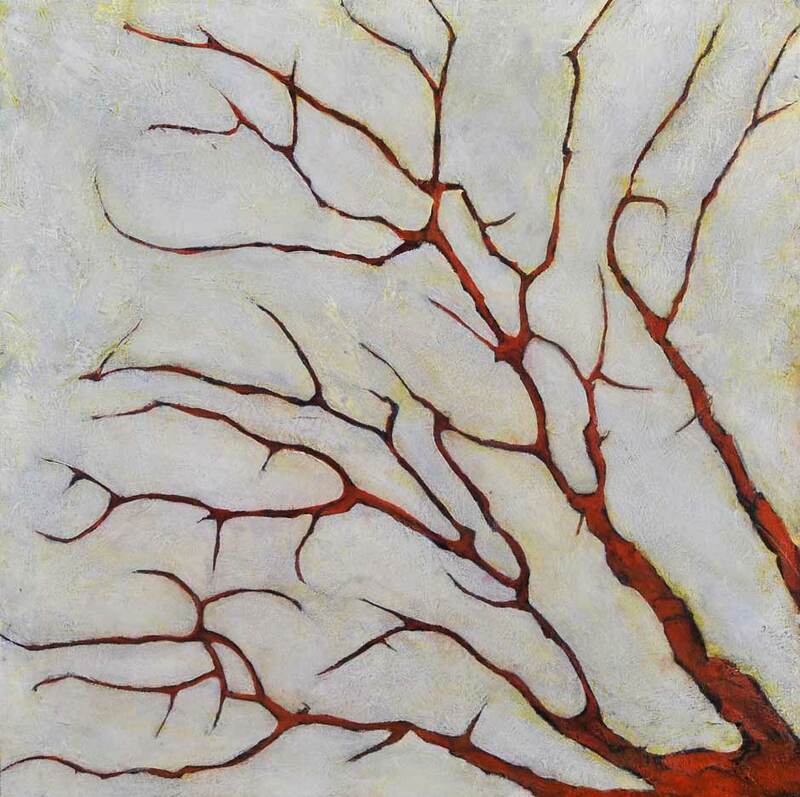 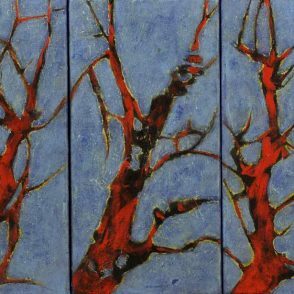 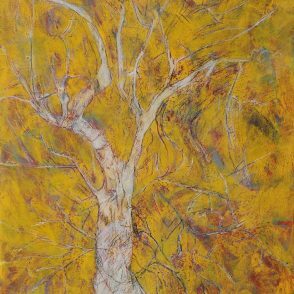 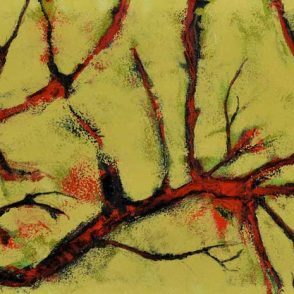 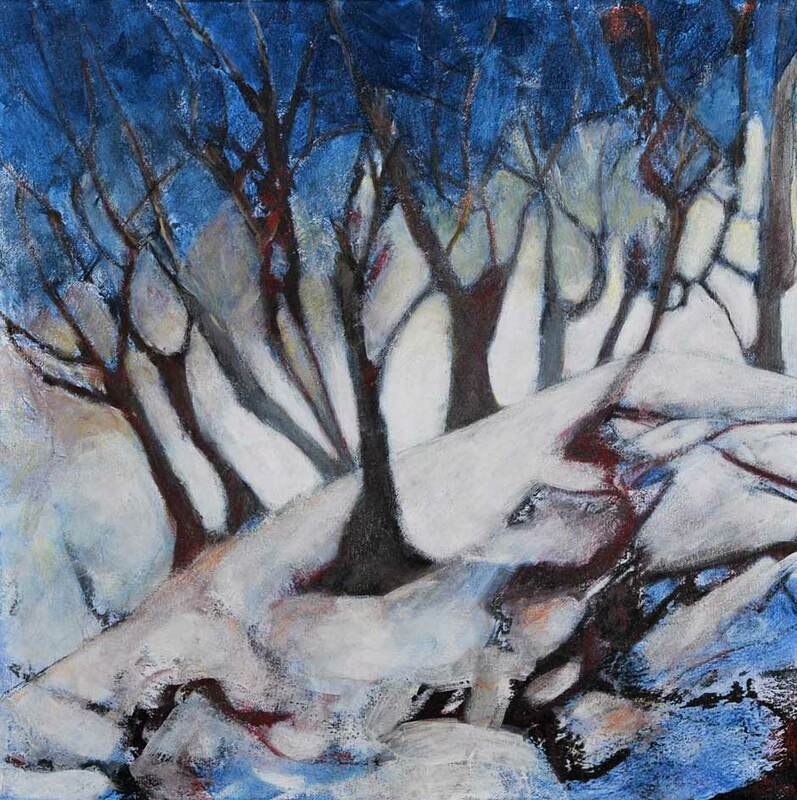 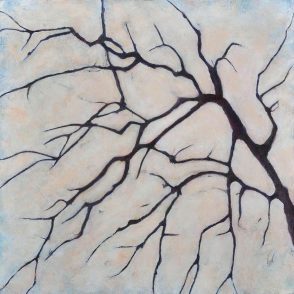 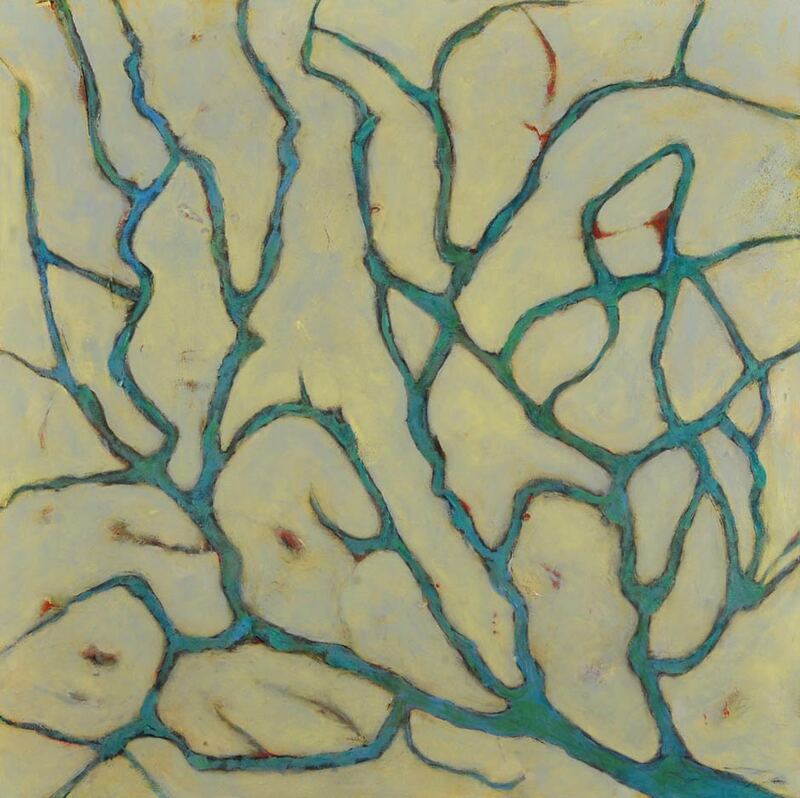 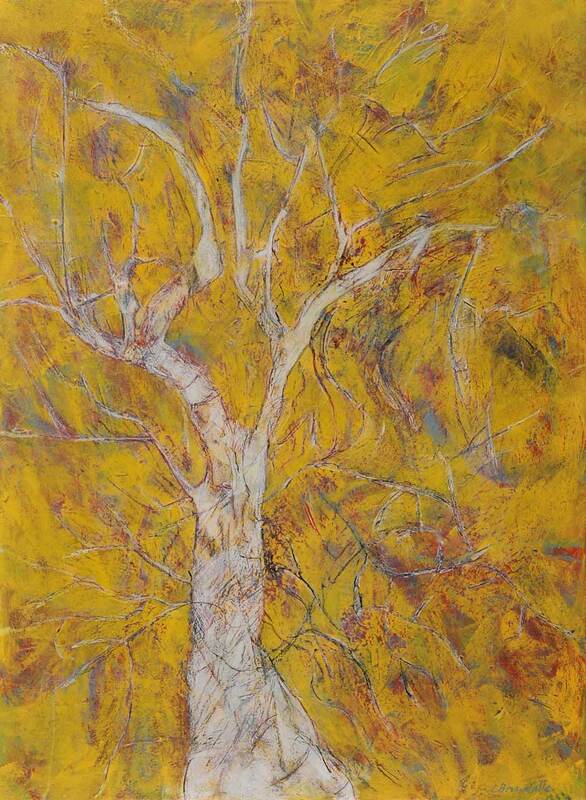 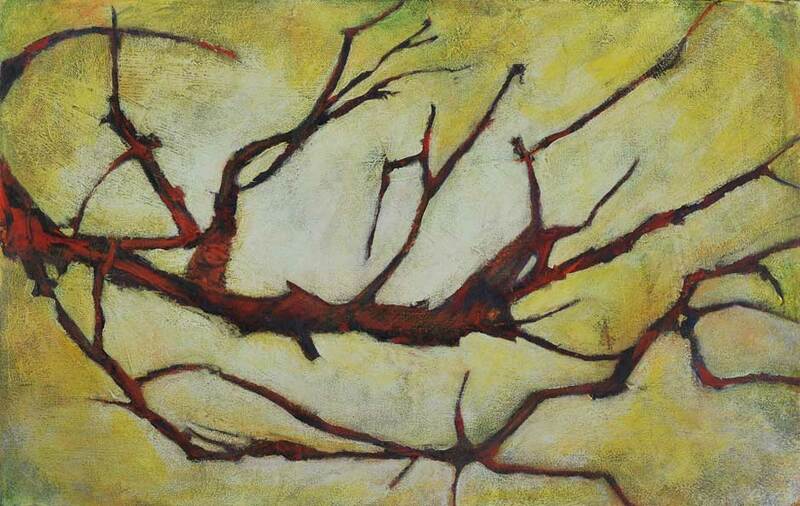 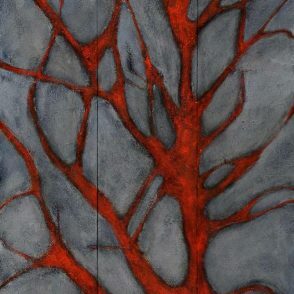 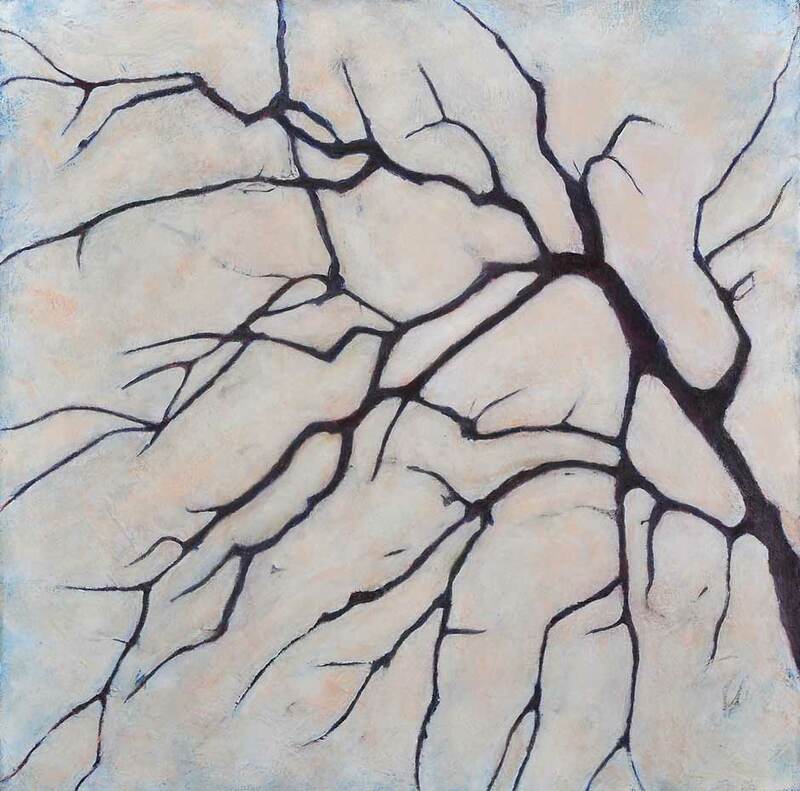 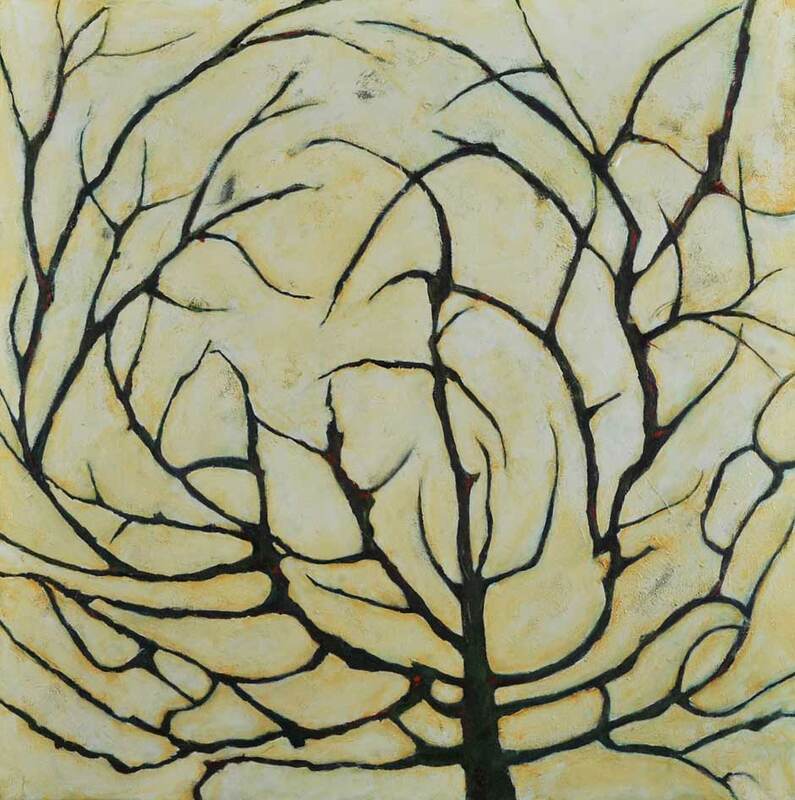 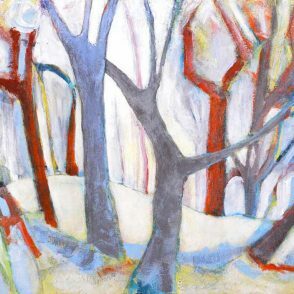 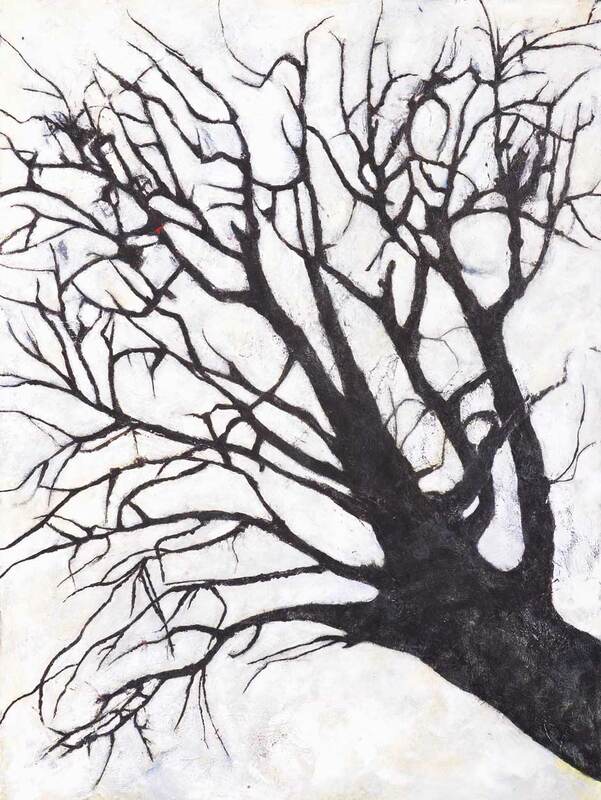 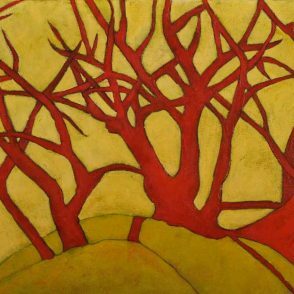 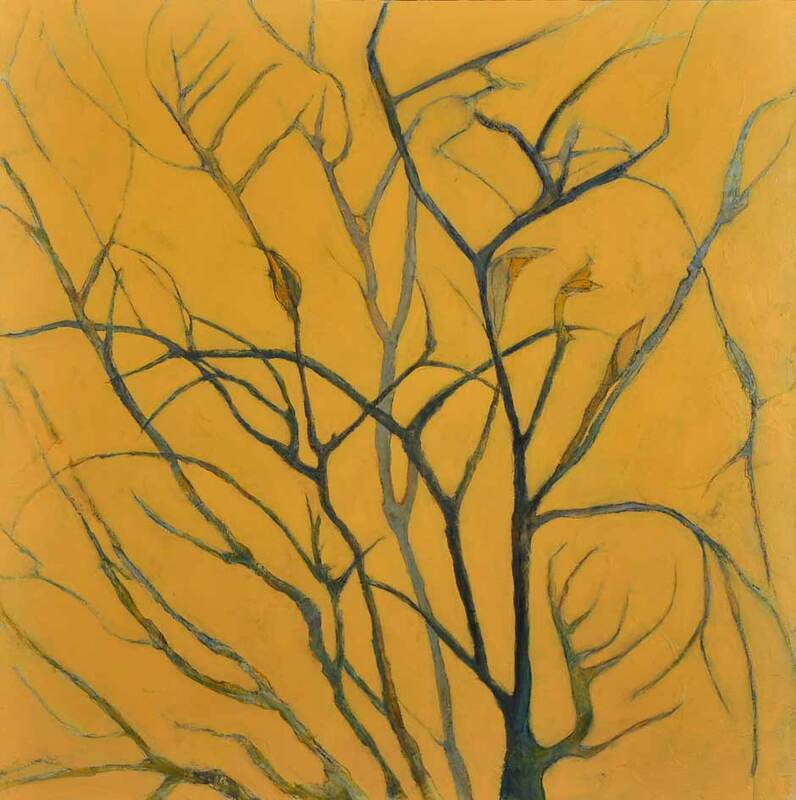 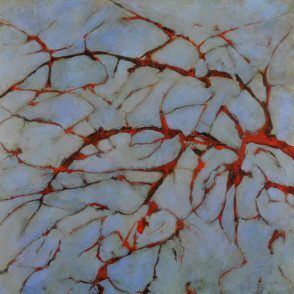 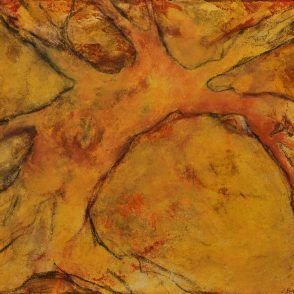 In this new body of work, Carolyn Brunelle continues her painterly exploration of the iconography of trees. 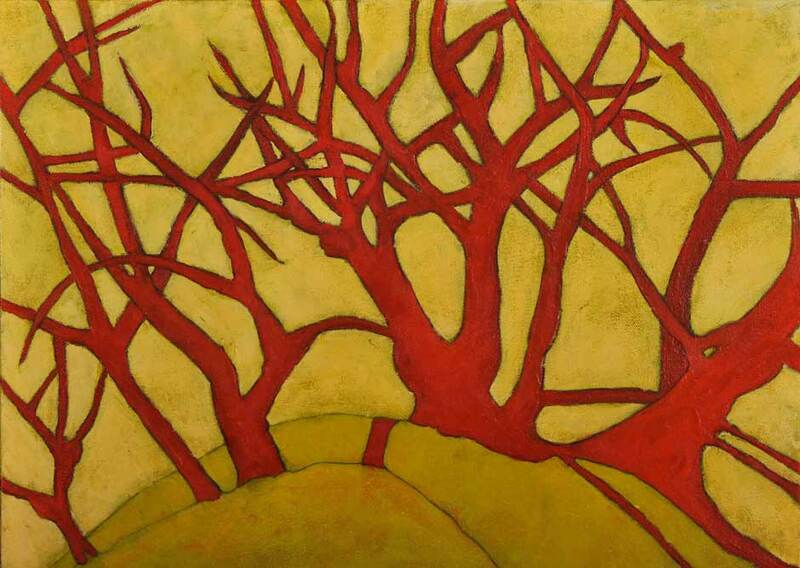 Fascinated by her subject’s cultural and historical symbolism, Brunelle is also drawn to its formal complexities. 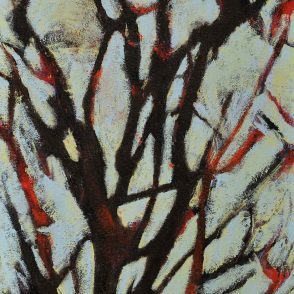 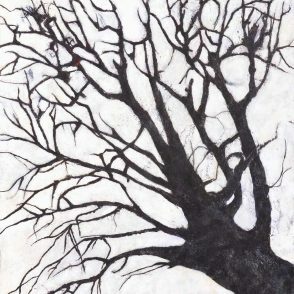 Webs of leafless branches reach skyward against scumbled backgrounds, becoming nearly abstract in their tangles of bright color and rhythmic lines. 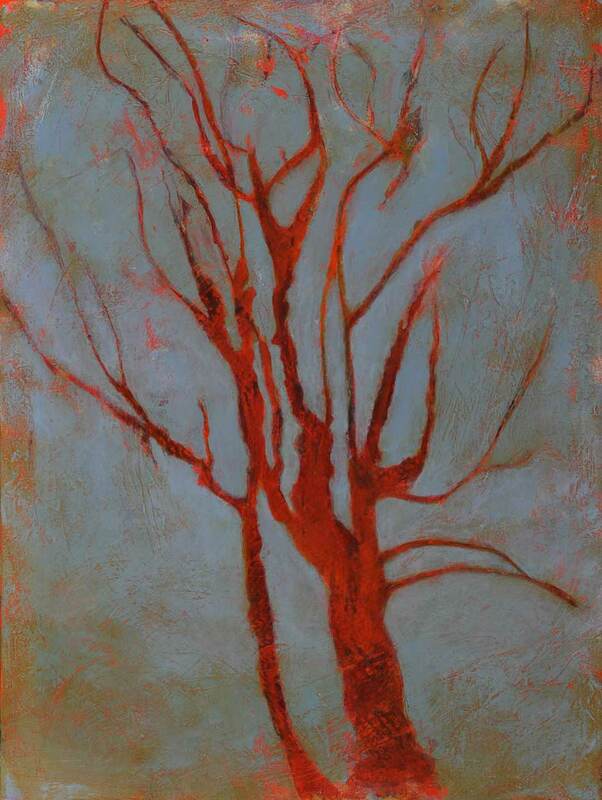 Brunelle is a native Minnesotan and currently maintains a studio in the Midway neighborhood of St. Paul. 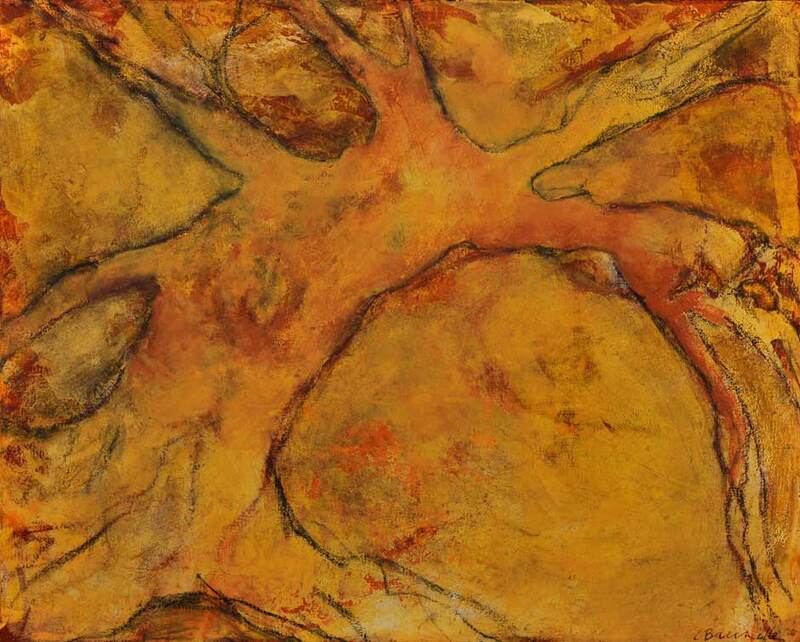 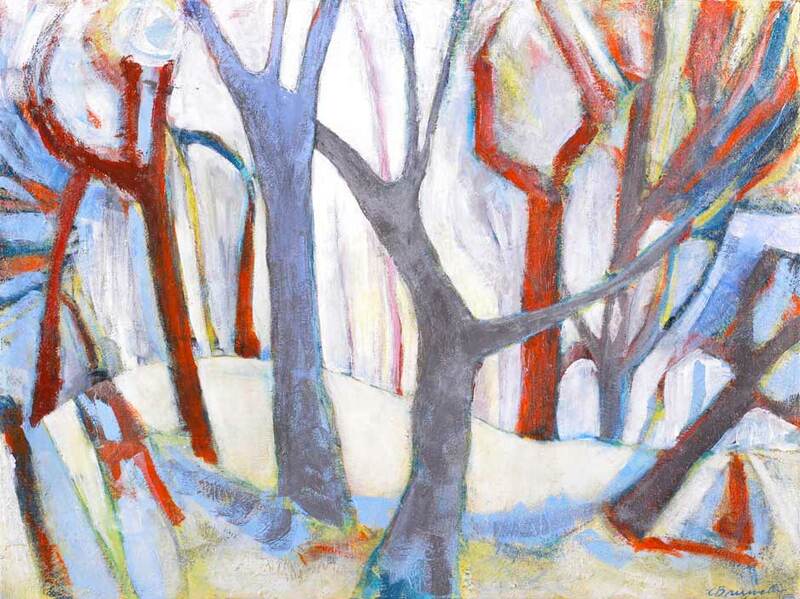 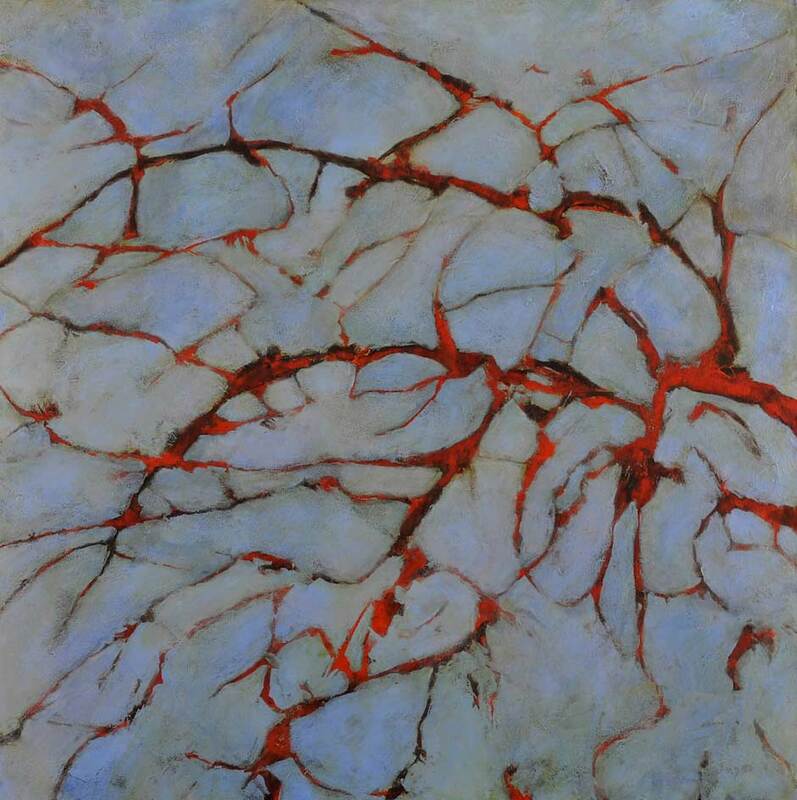 She has exhibited throughout the state for over twenty-five years and her work is included in numerous private and local corporate collections including Leonard, Street and Dienard, Piper Jaffray, IDS Financial Services, St. Paul Companies, Wells Fargo and Plymouth Congregational Church. 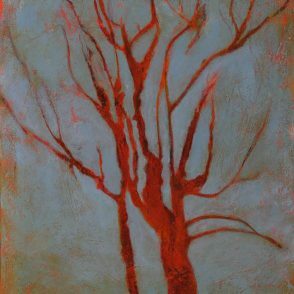 The artist will be present at the opening reception on Saturday, April 30 from 2 to 5 p.m. 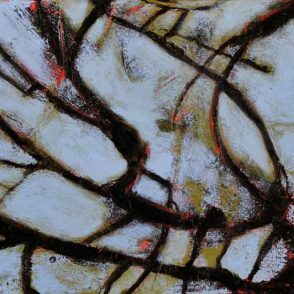 The exhibition runs concurrently with Ancient Materials – Modern Designs, an exhibition of new paintings by guest artists Dan and Lee Ross in the main gallery.